The VTX mobile bumper plate rack by TROY Barbell is the perfect storage unit solution to keep bumper plates off the floor or take the place of a stationary rack that occupies too much space. 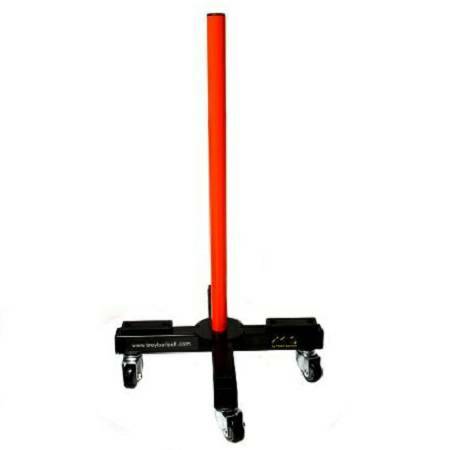 Simply stack them on the base, insert the pole and roll it away on 4 heavy duty built in casters. 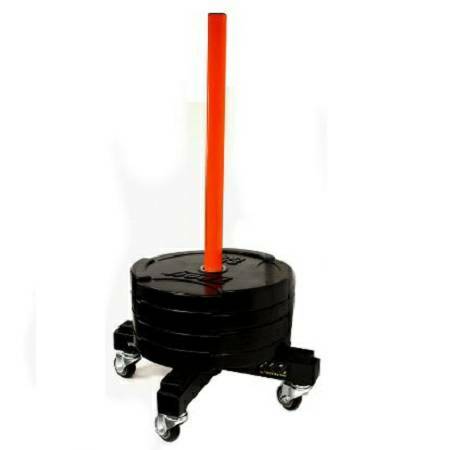 The portable stand holds up to 450 pounds of bumper weights in a 2' x 2' space. Barbell disc plates not included. X-shaped base for easy access to plates. 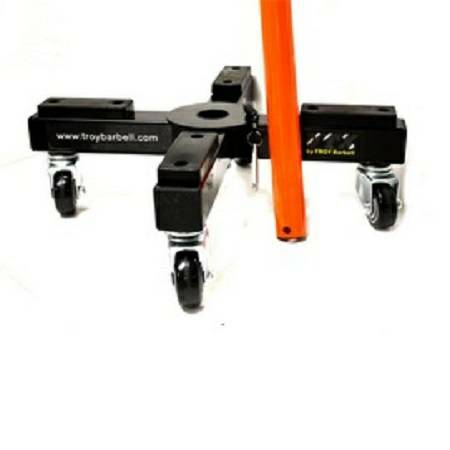 Durable caster roller wheels for smooth mobility. Pin lock feature to keep pole in place when needed.